Turnkey real estate investors generally have a preference for properties they purchase. Either they want single family or they’re more interested in multi-unit properties like duplexes, triplexes and fourplexes. There are pros and cons to both investment strategies (as with almost any investment). However, is there one clear cut winner? Let’s dive in and for this particular instance, we will only evaluate single family versus duplexes. We will take a look at three different factors on both investment strategies: purchase price, return on investment/ownership, and resale. In most cases, single family is the winner here. Most single family properties are going to be less expensive than any multi-unit property. Single family properties in the greater Dayton market are selling between $65k – $100k. Recently, because of tight inventory (which is a drought happening nationwide), some single family properties in really great A-B class areas are selling up to $120k. Still, these entry prices are relatively low. In some larger markets such as Chicago, Dallas, or parts of the northwest, turnkey single family properties can go beyond $200k. Duplexes in the greater Dayton market start around $99k and go up to $120k. Not too far off from a single family property. Other multi-unit properties can range up to $175k. However, a recent five-unit property we sold for $175k offered much more in terms of cash flow than any single family property. But that’s something to compare in the next segment. In regards to this category, multi-unit properties are going to win BIG with return on investment (ROI) and vacancy tolerance. Single family properties generally will have a longer-term tenant thus less turnover and less repair costs. Duplexes, or other mutli-unit properties, usually have higher turnover. The higher the unit count, the higher the turnover. It’s not always the case but is something you want to prepare yourself for financially. On the flip side, the return on investment is almost always higher for multi-unit properties. In some cases, extremely higher. 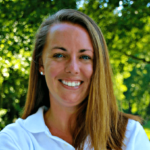 For example, our single family properties in the greater Dayton area offer anywhere from 8%-11%. Some can go up to 12%. Duplexes usually start at 12% and go up to 15%. Over years and years, that’s an incredible amount of return on your investment. One other big pro of duplexes is the vacancy tolerance. What does that mean? In most cases, you’re not going to have both units vacant at the same time in a duplex. Although you may have one unit vacant, you will at least be able to offset vacancy expenses with your other occupied unit. A single family property has virtually no vacancy tolerance. In single family, a vacant unit means no income at all. Although single family wins in terms of lower tenant turnover, multi-units are the clear winner for ROI and vacancy tolerance. Single family is the winner here for one reason: target market. With a single family property, if you decide to sell your property, you’re going to have a much larger target market for your property than a multi-unit. A duplex or higher unit count property is almost always going to sell to someone who is an investor. In many cases, single family properties will also appreciate a bit better than a multi-unit property. This of course varies and really depends on the market, condition of the property, and so many more aspects. SINGLE FAMILY OR MULTI-UNIT: Who is the Winner? In this evaluation, single family seems to be the winner. However, you get into turnkey investing for the cash flow, right? In terms of cash flow and return, multi-unit properties are going to provide a much bigger return and monthly paycheck than single family (in most cases). Here is our recommendation. If you’re new to turnkey investing, you may want to begin with a single family property. It’s a more familiar product to the masses. It’s a less expensive entry investment and is a great way to learn about turnkey investing. Once you’ve acquired a single family property or two, consider a duplex or other multi-unit property. We always recommend diversification. Adding in a multi-unit property can certainly increase your cash flow and ROI. Single family properties can provide stability in terms of resale while duplexes and higher unit count properties can provide potential for escalated wealth growth. A combination of the two is a real winning strategy. 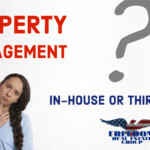 Previous Post Property Management: Is In-House or Third-Party Better?